Home » Politics » Heads up: Is Arvind Kejriwal primed to be the next CM of Punjab? Will @ArvindKejriwal become Punjab CM, leaving Delhi in the hands of @MSisodia? Punjab goes to polls in early 2017. 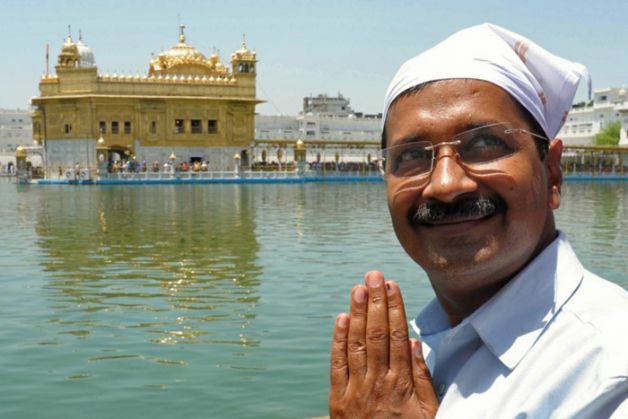 Why Kejriwal is likely to be the AAP\'s CM candidate in Punjab? What will its implications be? The Assembly elections in Punjab, scheduled for January 2017, promise to be an interesting electoral battle between the 2 main contestants - AAP and the SAD-BJP combine. Despite the anti-incumbency against the ruling alliance, the Congress doesn't seem to be in a position to capitalise on it. The party is likely to meet the same fate as it did in the November 2013 Delhi assembly elections. The Congress has a charismatic leader in Captain Amarinder Singh. However the central leadership is promoting his bete noire Partap Singh Bajwa. Even though there are signs of some rapprochement between Amarinder and the central leadership, it is probably too late for the party. Many traditional Congress voters will are likely to vote AAP just to see the back of the SAD-BJP alliance. Why is AAP on the rise? Dalits constitute 32% of the population in Punjab, more than any other state in the country. AAP is aggressively wooing this constituency. Muslims are not a decisive factor in Punjab, except for the Malerkotla Assembly seat. What is surprising is that even young Jat Sikhs are enamoured by AAP. The problems in Punjab are well known. The drugs crisis in Punjab has been actively aided and abetted by the state machinery, allegedly in connivance with the first family of the state. It has left a trail of destruction across the state. Many male members of Jat Sikh families have been wasted due to this menace. Agrarian distress due to unremunerative prices on farm produce has resulted in lower incomes for farmers. The high cost of wages for green collar workers and input prices have also paid havoc with farm finances. Negligible industrial growth and shortage of jobs has further added to the disillusionment among the youth. Rampant unemployment, a worsening law and order situation, massive increase in the prices of essential commodities since May 2014 have all contributed to the production of a heady cocktail in Punjab. What has Kejriwal done so far? Amidst all this, is the knight in shining armour, Arvind Kejriwal, who promises to lift Punjab from the morass it finds itself in. Kejriwal has announced a contribution of Rs 50,000 a hectare to farmers in Delhi who lost their crops to untimely rains. What Kejriwal doesn't tell voters is that not more than 300 farmers will benefit from this. He has constituted a Special Investigation Team (SIT) to probe the 1984 anti-Sikh riots and distributed cheques of Rs 5 lakhs as compensation to victims of these riots. This could be with an eye on the Assembly elections in 2017. In the Lok Sabha elections of 2014, the AAP won 4 seats and gave a good fight in the other 9 Lok Sabha seats in Punjab. AAP is a serious option for 2017. Arvind Kejriwal is the only chief minister in the country without a portfolio. He has appointed Manish Sisodia as Deputy CM, who is effectively running the administration in Delhi. Kejriwal is an insecure man who will not promote local leadership in Punjab. So there is a strong possibility of him becoming the CM face of the AAP in Punjab. There is no denying that there is a strong groundswell for AAP and Kejriwal in Punjab. He needs to register himself as a voter in Punjab to contest elections, and it remains to be seen whether he will do that. If he does become the CM, he wouldn't face some of the obstacles he has been facing in Delhi. Unlike Delhi, Punjab is a full fledged state and matters like land and law and order are under the state government's purview. Anybody threatening Kejriwal's pre-eminent position in the party has been cut to size. AAP MP from Patiala Dharamvir Gandhi has already fallen out with the party. Sucha Singh Chhotepur and Bhagwant Mann, who fancy themselves as chief ministerial candidates, are going to be sorely disappointed. If Kejriwal wins, he would be the first Hindu CM of Punjab and the first non Jat Sikh after Zail Singh. A strong anti incumbency against the Badals, coupled with an absolute disarray in the Congress camp means the inevitable rise of AAP in pole position in Punjab. Many voters in Punjab do not seem to buy the accusations that Kejriwal is a demagogue and a false prophet. They see him as a messiah who will lead Punjab into a bright future. Buyer's remorse will kick in, but only after the votes have been cast in 2017. Contrary to speculation, it is unlikely that the SAD-BJP alliance will break. It will in all likelihood contest the elections with the BJP demanding more Hindu urban seats which the Badals may oblige. The local BJP leadership may have been vocal about going it alone, but the central leadership is hesitant to break this alliance. It apprehends that Hindu-Sikh tensions may rear its ugly head again. Punjab is a sensitive border state. It has seen militant Khalistani nationalism in the not too distant past. The number of T shirts with portraits of Bhindranwale outnumber Bhagat Singh in online stores and street corner stalls in markets. A possible victory for the AAP in 2017 could be dangerous for the state. In Kejriwal, Punjab will have a clueless chief minister who would not solve the structural issues facing the state.